Pain au Levain with Whole Wheat for Third World Bread Day! Woo-hoo! 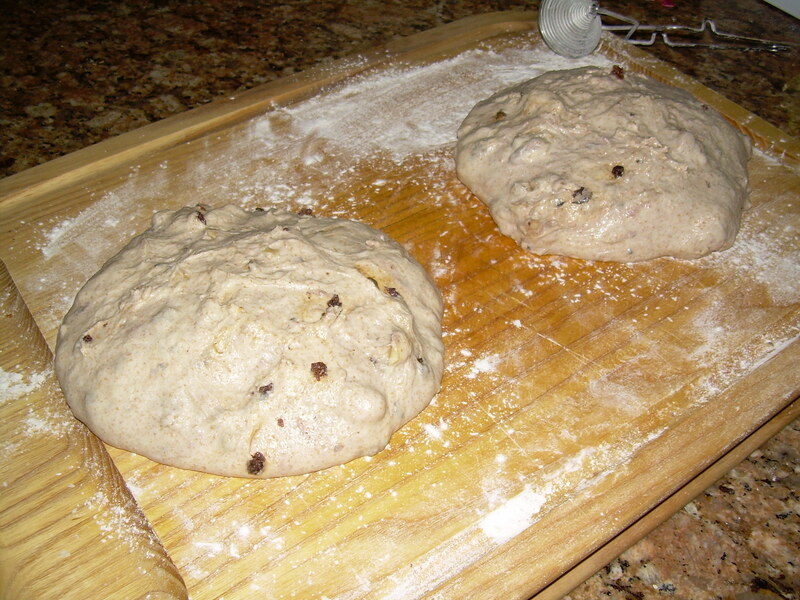 For the Third Annual World Bread Day, I finally tackled a recipe form King Arthur Flour’s fabulous book, Whole Grain Baking: Delicious Recipes Using Nutritious Whole Grains : Pain au Levain with Whole Wheat (p. 279 in the book) I added some currants and walnuts. The result? 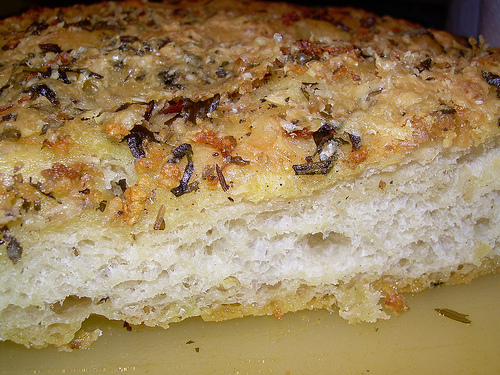 A bread that I see myself baking on a regular basis. 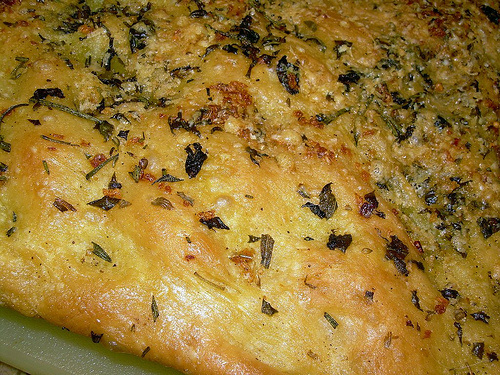 It has great texture, flavor, and a crusty but-not-too-hard crust. This was the first time I’d ever made a bread with this many rises – after the initial 20 minute autolyse, there was a 45 minute rise, then there were two separate turns with 45 minute rises, a 20 minute rest prior to shaping the loaves, and another 2.5 hour rise. Would I do this again? In a heartbeat! 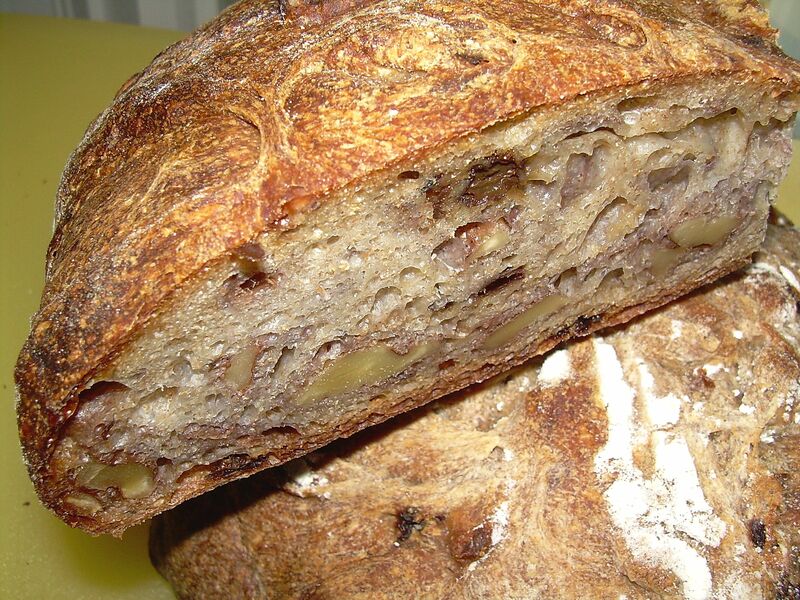 The recipe called for whole wheat levain, but I used my plain white flour levain, added 1/4 cup of plumped currants, and I/2 cup chopped walnuts. 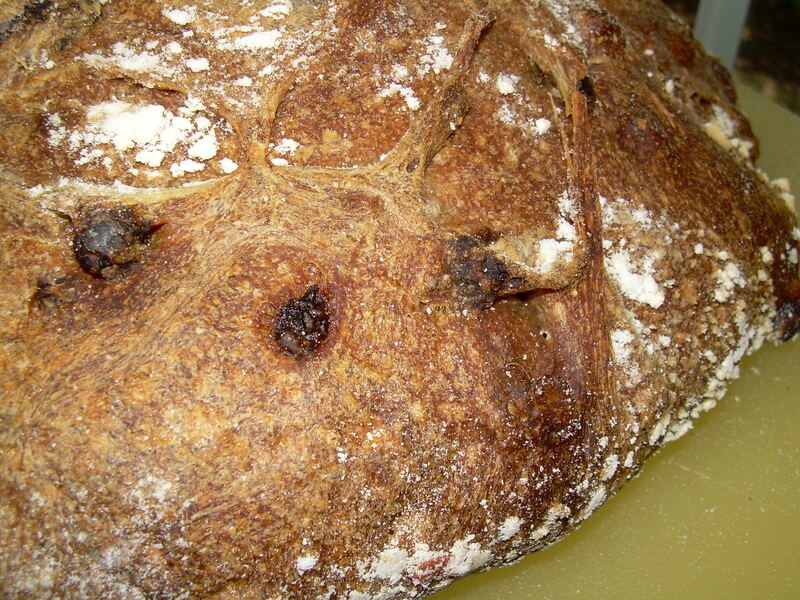 This bread had FLAVOR – I could taste the sweetness of the currants, the nuttiness of the walnuts, and the tang of the sourdough, but all the flavors worked together. Now, the problems. This is one really sticky dough. I had to add 3/4 cup more flour just to get a wet dough, instead of soup. I was also using a brand new banetton, and the dough stuck and ripped as I turned it out onto the baking peel. Thus, the misshapen loaves in the top picture, craftily staged so that they don’t look too bad. Oh, and the hydration was off on my levain, but, hey, what really matters is how the bread tastes, and I’ll just keep plugging along until I get this right. Once I figure out what I’m doing in terms of hydration, etc., I’ll post the recipe. 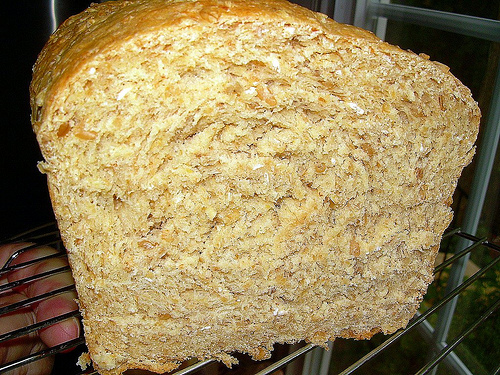 For now, I’m just sharing a new favorite bread in honor of World Bread Day. Flours that I used: King Arthur Whole Wheat Flour, and Gold Medal Bread Flour. 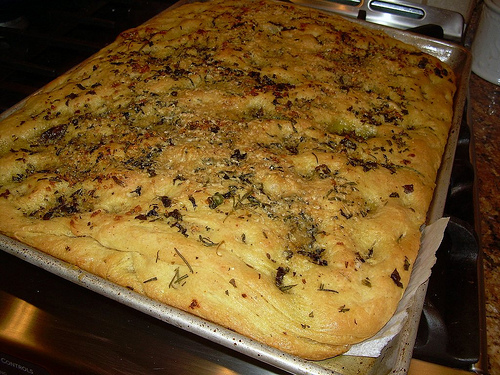 Thank you, Zorra, for World Bread Day, and for your monthly Bread Baking Day. 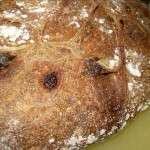 If you want to see what people all over the world have baked, check Zorra’s blog for a roundup in the next week or so. Happy Bread Baking! Update: Master Chow, my Honorable Husband, actually thought that I’d bought this at Whole Foods! I’m so proud of myself that I’m popping my buttons! Well, due in part to pride at a job well done, and in part to the fact that I ate an entire loaf of this by myself. Off to the gym!